Make great savings when you buy in bulk! These are 25 packs of black badge reels with alligator clips. 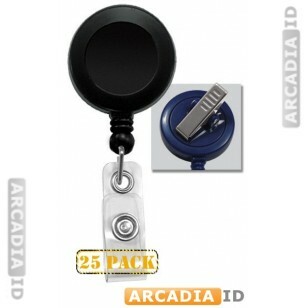 These can be worn on the inside of a shirt or anywhere else and allow for easy and free movement of ID cards. For more amazing photo ID card products at amazing prices browse the other listings. Rapid delivery on all our products.